Sometimes it is planned out far in advance and sometimes it is accidental...but when it happens it usually results in something memorable. 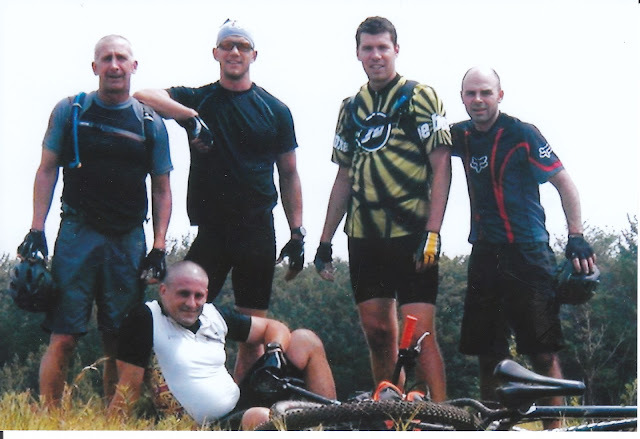 The group ride. 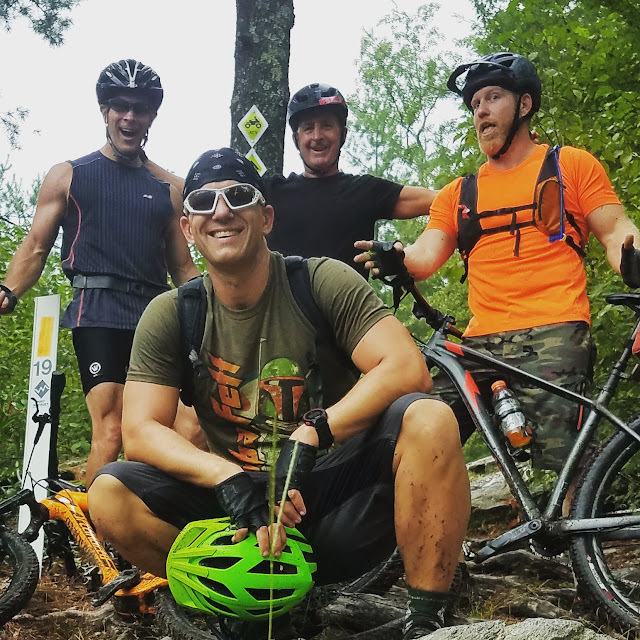 A bunch of friends...each with different backgrounds, different professions, and at different stations in life...brought together by the love of mountain biking. A group of guys spending time talking, laughing, riding, creating memories, and simply enjoying life. Recently, I've had the opportunity to look back through all of my pictures. I discovered a treasure trove of great pics and I chose 10 of my favorite group shots. 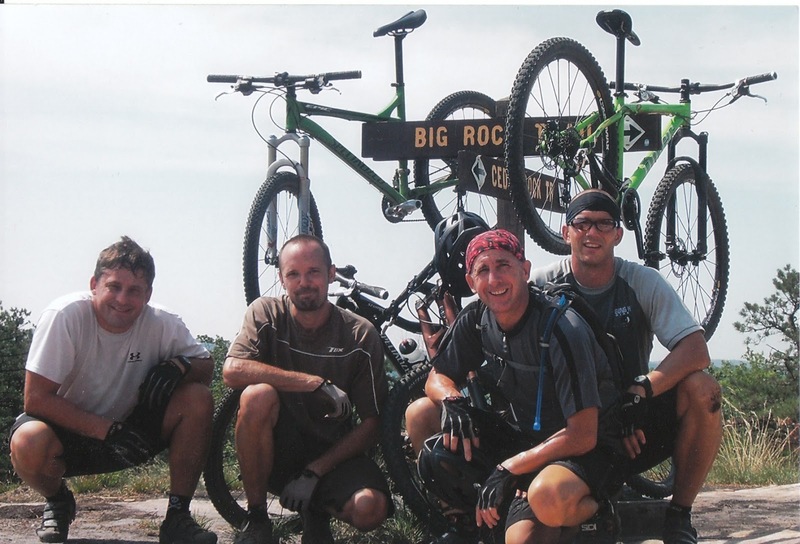 Here they are in no particular order (however, the last shot posted is my all time favorite mountain biking picture). Some of my friends still ride and some do not. Regardless, no matter where each of us are in life now, the memories are there...and no one can go back and wipe those smiles off of our faces. Sometimes, there is nothing better than some "group therapy." Enjoy! Four wet and muddy days camping and riding the trails near Black Water Falls, West Virginia. 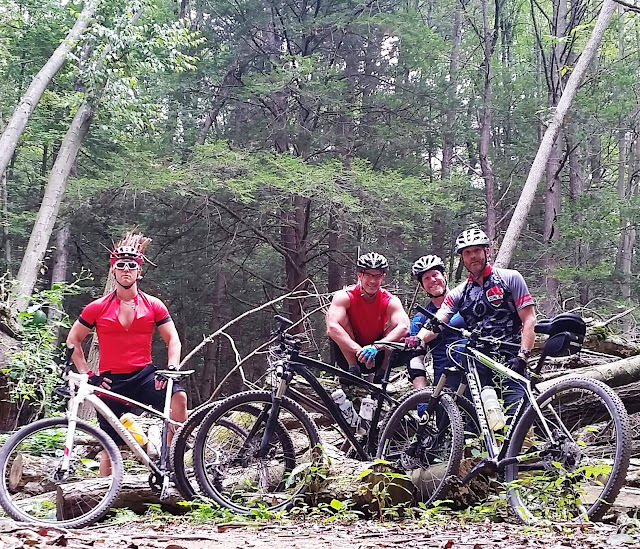 We hooked Mikey's pop up to my Silverado and headed out for three day's of mountain biking in northern Pennsylvania. 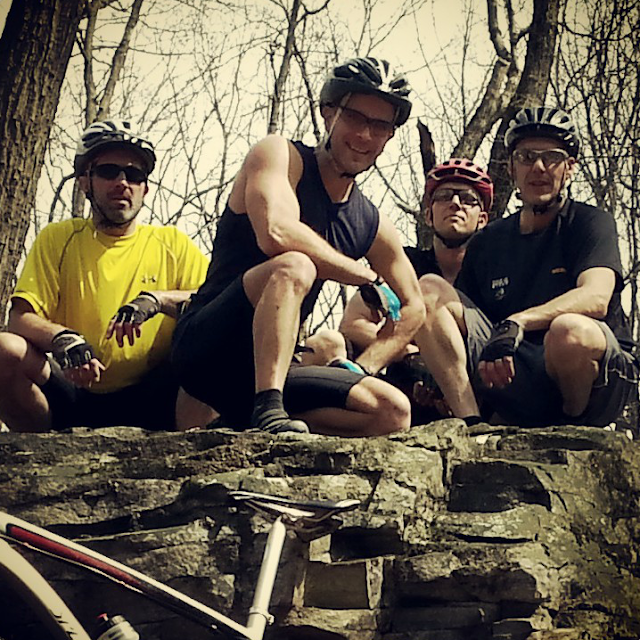 Taking a break on the rock gardens that litter the trails at Rattling Creek. Everyone loved to make fun of my primer color helmet. Okay...not just necessarily a group ride...but a great post race pic. Gotta love our bumble bee jerseys. Pausing to chat and document our ride near some freshly cut timber piled along side of trail A. A three hour road trip to ride one of the most famous trails in Pennsylvania...American Standard. Fifteen miles of single track and rock gardens just to pose with a urinal that is nailed to a tree deep in the forests of Pennsylvania. Getting geared up to climb to the top of the ridge on trail 8. A quick road trip on Columbus Day 2013 to Lake Raystown. Nothing gives Mark and I a bigger grin on our faces than making Mikey feel uncomfortable! 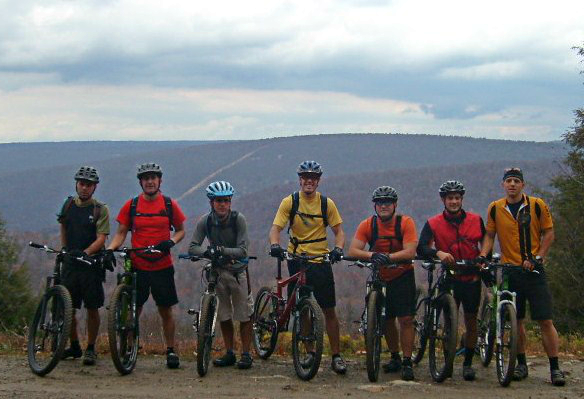 Nobody would criticize us for pausing to catch our breath after a three mile fire road climb to the top of the ridge in Rothrock State Forest. My all time favorite group photo. The four of us spent an amazing week mountain biking and camping in Pisgah National Forest, North Carolina.